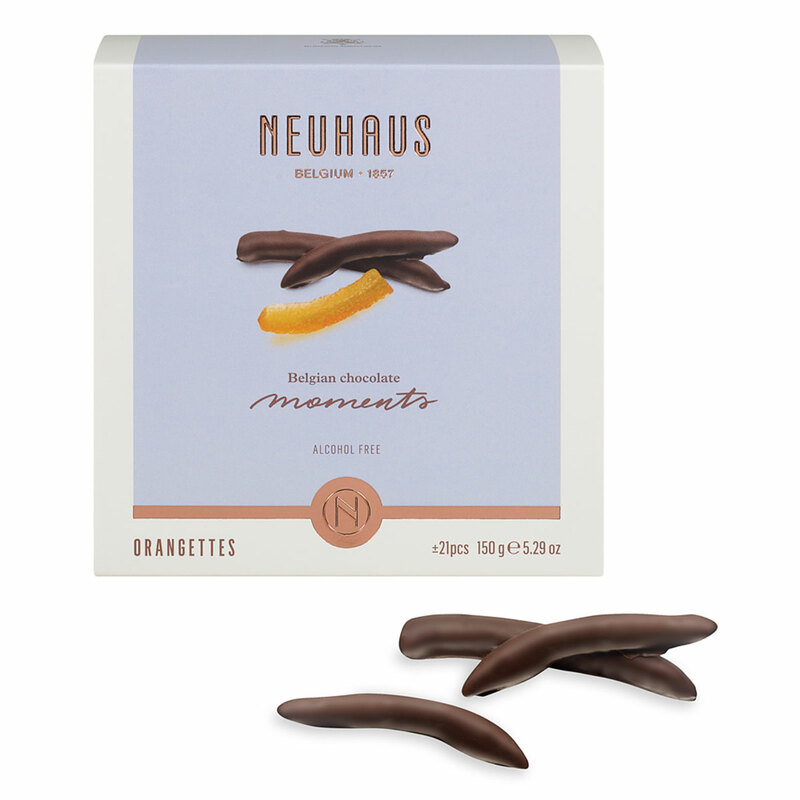 The orange peels for these Orangettes are candied in the traditional way and then coated with a thin layer of dark chocolate. The tenderness of the orange peel and the crispy chocolate create a wonderful texture. This assortment contains 12 Orangettes. Alcohol-free.